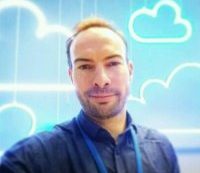 Cisco VIRL to study for CCNP Routing, Switch and Troubleshoot certification – Antonio Feijao, Antonio AWS, Antonio Cloud, Feijao UK, AWS Cloud Solutions Architect, Open source, Python, Amazon Linux, Ubuntu, CentOS, Redhat, Linux, Networking, Cisco, Firewall and IT Cyber Security passionate! Build highly-accurate models of existing or planned networks. Design, configure, and operate networks using authentic versions of Cisco’s network operating systems, including IOSv, IOSv Layer-2, IOS-XRv, NX-OSv, CSR1000v and ASAv. Integrate 3rd-party virtual machines, appliances, VNFs, and servers. Connect real and virtual networks to form high-fidelity development and test environments. Design and test anywhere – VIRL is portable! Before attempting to use the VIRL ISO installer with a Bare-Metal server please ensure that these key requirements are met. The target host must support Intel VT-x/EPT or AMD-V/RVI virtualization extensions and these must be enabled in the BIOS. A disk 100GB or larger that does not contain any irreplaceable data – it will be repartitioned and erased during installation. 4 CPUs and 8GB of memory is or more is highly recommended. Additional resources will allow for larger simulations. Internet access must be possible, and if static IP addressing or Internet proxies are required in your organization then you must carefully follow the relevant installation steps below to complete the VIRL installation. TCP ports 4505 and 4506 must be permitted outbound through your organization’s firewall to allow connections to the Cisco Salt servers. The server should optimally have five physical network interfaces, the first of which must be configured for Internet access. >> Less than five interfaces? If the server to which you are deploying has fewer than five physical interfaces then you must carefully follow the instruction below covering interface-constrained installations. click "Install System to HDD"
If there is no DHCP addressing facility on the subnet to which the VIRL host or virtual machine is connected via ‘eth0’ it is necessary to assign a static IP address before proceeding. # they are reachable on the local subnet. # as various VIRL services fruitlessly attempt to resolve names. Open a web browser and navigate to the VIRL host’s IP address. Choose ‘User Workspace Management‘ from the VIRL Server web-page. Login to the User Workspace Management using username ‘uwmadmin‘ and password ‘password‘. Select ‘VIRL Server‘ from the menu that appears on the left. Select ‘Salt Configuration and Status‘ from the menu on the left. Select ‘Reset Keys and ID‘ from the main window. Cut and paste the name of the license key file (not including ‘.pem’) provided with your purchase as the ‘Salt ID and Domain‘. For example ‘AB12CD35.virl.info’. Enter your email address for the ‘Customer Email Address‘ field. Delete the existing contents of the ‘Minion private RSA key‘ field. Open the license key file in a text-editor appropriate to your platform. Select and copy the entire contents of the license key file. Paste the contents of the license key file into the ‘Minion private RSA key‘ field. Select ‘Reset‘ and wait for the page to refresh. Ignore any indications of failure at this point. The status will be re-checked in the next steps. Locate and select ‘Check status now‘. Select the ‘System Configuration‘ sub-menu. navigate to the VIRL host or virtual machine’s IP address…Select ‘VM Maestro Clients‘ from the list of options. Select from the menu ‘File‘, then ‘Preferences‘, then ‘Node Subtypes‘. Select ‘Restore Defaults‘, then ‘OK‘, then ‘Apply’. Select ‘Fetch from Server‘, then ‘OK‘. Do these steps anytime new sub-types are added to your VIRL host.